New York-based fintech SmartAsset, which provides personalized, automated financial solutions, has raised $28 million in new funding. The Series C round takes the company’s total equity capital to more than $51 million and featured the participation of Focus Financial Partners, Javeline Venture Partners, TTV Capital, IA Capital, and Citi Ventures, as well as other investors. The company will use the investment to build its audience as well as expand its platform to help more people improve their finances and connect with qualified personal financial advisors. More than 45 million people use SmartAsset’s personal finance information and online resources every month. The company’s automated financial modeling software, demonstrated live at FinovateSpring, powers SmartAsset’s tools, financial calculators, and data-driven research and content to give consumers information on personal finance topics ranging from planning for a first-time home purchase or saving for retirement. SmartAsset also helps individuals find the right financial advisor based on their specific needs. By answering a series of questions – your location, your preferred retirement timeline, how you currently manage your money, and so on – SmartAsset can assess the individual’s general investment preferences and goals and provide up to three recommendations for financial advisors. All of SmartAssets’ recommended advisors are carefully vetted and registered with the SEC or appropriate state regulator. A finalist for the 2018 Benzinga Fintech Awards, SmartAsset announced a partnership with CRM software provider Wealthbox in April to integrate its SmartAdvisor lead generation solution into the Wealthbox platform. In February, SmartAsset teamed up with America Saves and the American Savings Education Council to promote positive savings behavior during America Saves Week. We’ve launched a revamped version of our site that allows the user to navigate through our tools more easily and bring an increased layer of transparency to our recommendations. The new format provides a simpler, more intuitive understanding of how the complex financial decisions users are about to make will impact their finances and lives. This week, we’re featuring BodeTree, Roostify, and SmartAsset whose solutions range from a small business management platform, to a home mortgage application solution, and a mobile financial education product. BodeTree focuses on helping owners of revenue-generating small businesses, who are required to play many roles in their company, to better manage their operations. BodeTree gives its users a complete view of where their business stands, what their competitors are doing, and offers tools to help them determine where they want their business to be in the future. To help users reach their business goals, it works with funding sources to provide financing to serve as working capital. Because BodeTree has visibility into the small business’ operational data, it can work with the funding source to help underwrite and furnish the loan in as few as seven days. BodeTree gives small business owners an all-in-one business management tool by serving up accounting, sales, and CRM tools on a single, intuitive interface. It helps them understand their budget and business data by showing the information graphically, and provides tools for planning. Additionally, BodeTree gives users a an automated view of their business’ valuation and even shows how they are doing in comparison to their business’ peers. Within 30 minutes, the small business can apply for funding, which they can receive in as few as seven days, as opposed to the traditional 120 days it takes to get a loan. If the user is pursuing a loan, BodeTree gives its funding partners visibility to the individual business’ performance metrics to help them underwrite the loan. The platform’s report-building tool gives them an easy way to customize and build professional looking reports, like the one below, to serve as a tangible item they can share about their business. Overall, BodeTree serves as a home base for small businesses to see how their business is doing, determine where they want to go, and access quick funding to help them get there. By bringing transparency to the home buying process, Roostify seeks to demystify the home loan and closing experience by making it easier and faster for both the borrower and the lender. Its platform facilitates communication between lenders and borrowers, enabling them to share and track information necessary for the mortgage and closing process. This visibility, combined with the platform’s ability to gather key documents, helps speed the entire home-buying process. For the homebuyer, Roostify works a bit like TurboTax for a mortgage application. It customizes fields on the application based on the user’s answers to previous questions. Roostify also benefits the lender by giving them complete visibility into the process. The screen below shows a feed of completed tasks (on the right) and outstanding tasks (in the center) for both the borrower and lender. Even after the home loan application process is complete, the system details the home closing workflow, notifying the two parties what items need to be completed by what time frame. Lenders can white label Roostify to create a branded solution that gives their borrowers an end-to-end service that consumers have come to expect. SmartAsset’s website serves as a resource for personalized and automated advice about personal finances. 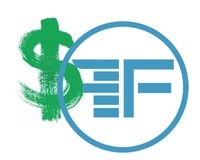 At FinovateSpring 2014, SmartAsset launched its native mobile app on iOS and Android. Its platform combines user information with its automated financial modeling technology to answer questions across a range of subjects. Its goal is to help people make better financial decisions. To serve as a guide, SmartAsset’s referral service matches users with targeted financial products to help them maximize their net wealth. SmartAsset’s greatest penetration is with users between the ages of 25 to 40 who are planning to make one or more big financial decision this year, such as get married, have a baby, or buy a house. The screenshot below illustrates the user experience of determining whether to rent or buy a home. Note the targeted ad from Quicken Loans at the bottom, offering a 30-year FHA mortgage. If the user wants to purchase a home, they can use SmartAsset’s in-app tools to determine how much house they can afford. The sliders make it easy to change the estimation of the down payment and mortgage. When adjusted, all other calculations are immediately updated to reflect the change. It also helps in planning for retirement. The screenshot below illustrates the recommended amount of retirement savings the user needs to put away per month in order to retire at their desired age of 67. Stay tuned later this week for our final Behind the Scenes look at fintech from FinovateSpring 2014.